The Puget Sound region has seen unprecedented growth of population in the last few years and this trend is expected to continue. By the year 2040, the population is projected to grow by roughly one million people, with a majority of the growth occurring in cities like Everett and Tacoma. As we continue to grow as a region, we must plan to grow equitably. It’s critical that we are able to match population growth with infrastructure growth by investing in accessible public transit, affordable housing, and good jobs. With that in mind, the majority of the Puget Sound Region will have an opportunity to vote on Sound Transit 3 (ST3): a potential ballot measure that will expand and build out Sound Transit’s long range plan. ST3 will go before voters in November 2016. Sound Transit currently serves the urbanized parts of King, Snohomish and Pierce County and approximately 2.9 million people or 80.3% of the three counties. In December 2015, Sound Transit released the list of candidate projects, which extend from Lynnwood to Everett; Bellevue to Redmond; down to Tacoma from Federal Way; and connects West Seattle and Ballard to downtown Seattle. This Thursday, the board will deliberate over the final list of projects and additional policy direction included in the ST3 package and then launch into a month of community engagement. Community Engagement is critical to make ST3 an equitable transit system. Puget Sound Sage, Transportation Choices Coalition, and OneAmerica – collectively Transit for All—are working with Sound Transit board members and staff to flip the script on community engagement by hosting community-driven conversations on the future of transit service and surrounding communities. 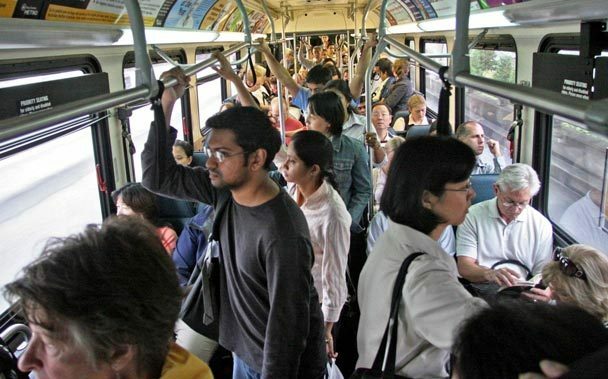 Transit for All will host several workshops and forums to develop a community frame for the future of high-capacity transit in the region, to convey to Sound Transit board members and staff. The first of many community workshops was on Feb 19th. Rebecca Saldaña, executive director at Puget Sound Sage, opened the event by inviting the community to engage in this process. She said, “If you’re not at the table, then you’re on the menu.” Shefali Ranganathan, director at Transportation Choices Coalition, walked the audience through the history of the region’s transit system. Shefali related the ironic story of how Seattle lost the opportunity to build a regional transit system. In 1965, the federal government proposed Forward Thrust – a project to fund most of a regional train system. Unfortunately, voters did not approve the ballot measure, and the Federal Government sent the funding to build Atlanta’s system instead. We are now playing catch-up. This time, it will cost over $27 billion and will be one of the biggest and boldest investments we will see in this region in our lifetimes. It is important that the community is engaged in choosing how we connect our region in an accessible, just and sustainable way – focusing investments in historically disinvested in communities and ensuring that low-income communities are not displaced. The first workshop generated some great ideas and input from the community. They are outlined below. Construction and maintenance jobs should pay living wages, and have intentional inclusion for people of color, women, LGBQT and other marginalized communities. While disposing the land, ST should require that developers provide good jobs to people that are from those communities. It is important that people can work and live near transit — to save a lot of time and cost. Sound Transit should prioritize affordable housing and living-wage jobs near transit. Sound Transit and local governments must play a role in preventing and mitigating economic displacement that happens near transit for both residents and community institutions. It is important to provide adequate benefit for households that will be physically displaced, there should be fair relocation opportunities offered to them in affordable housing without pushing them further out of the urban areas. Surplus land disposition must allow affordable housing that recognizes the needs of the community that already exists to minimize gentrification. Resilience is both being prepared to face disasters and making our communities and social relationships stronger. Transit centers must be designed keeping in mind climate change impacts like increased temperatures and frequent storms, especially to elders and disabled people. Invest in low-impact developments – rain gardens, tree cover, permeable pavements, etc. Existing infrastructure should be retrofitted to be accessible and prepared for climate change impacts. Different modes of transit must be in proximity each other and to community centers, educational centers, faith-places. Set up community boards in each area of proposed construction with people that represent the community. Diverse segments of people must be invited to this board — not only business owners but also students, disabled, low-income people. Representation from ST should not just be engagement managers, but designers and engineers to collaborate on solutions. Employ community liaisons from the community, and use easy-to-understand and interactive ways to engage the community in technical details. Publish information in ethnic media outlets that the communities engage in more than just the mainstream media. Meeting should be set to be accessible in different languages and at times that working people can attend. Design simple ways for people to understand the cost impact — cost to use transit, or how it might affect the rent of their homes. Resource community stakeholders to conduct community engagement and organizing. We need sidewalks and good lighting not just at the station but 1/4- 1/2 mile from the station. Stations should have activity near them like retail or commercial so that there are lots of people around. This creates a sense of safety. Better bus access to the stations. Bike lanes and lockers at the stations. Better amenities at bus stops near stations (lighting, shelter, seating). Make sure that communities are part of the design process so that they welcome the station and do not oppose it. Good signage to and from the station in multiple languages where it makes sense. 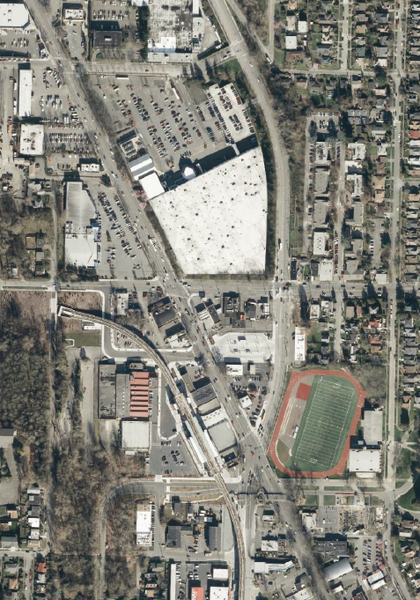 Stations should feel walkable and human scale – not like the Mt.Baker station. Transit for All is hosting several workshops and forums to develop a community frame for the future of high-capacity transit in the region to convey to the Sound Transit board members and staff. The Transit for All coalition will advocate for these priorities to Sound Transit board members and urge them to take this community vision for an equitable Sound Transit 3 into account as they make their final decisions over the coming months. This is just the beginning and it is important that the community deepens conversations and brings more voices to the process of decision making in the next few months. It is critical that we get active in discussions around the impacts and long-term goals that we envision for transit in our region. We will organize phone banking, door knocking and invite people to show up at board meetings and public hearing. Please sign up to learn more and attend the next People’s Workshop on April 13th at Highline College. Categories: Affordable Housing, Community Benefits and Development, Equitable Transit Oriented Development, Land Use Policy, Living Wage Jobs, Public Health, Racial Justice, Sustainable Communities, Transit Access | Permalink. It is not a coincidence that Southeast Seattle has the greatest incidence of people with low incomes and possesses the highest poverty rate in the city. In Southeast Seattle, affordable housing and quality jobs are increasingly hard to find for low-income people and families, who are disproportionately people of color, immigrants, and refugees as a result of the history of segregation. However, the face of Southeast Seattle, and the country, is changing. As of 2012, a majority of the nation’s infants were people of color, which now puts the white population of the country in the minority. Currently, Seattle is the fastest growing city in the country – average rents have increased even more dramatically in the past year and the trend does not show signs of slowing. Demographic changes in Southeast Seattle and South King County indicate that people of color have been displaced from their communities as the cost of living in Seattle has become unsustainable for them. As a result, low-income communities and communities of color are relocating to resource-poor suburbs while a largely white and wealthier population remains in Seattle. This segregative effect in major metropolitan areas are deepening racial disparities in this city – disparities we have long sought to change. However, smart planning, policy and investments in the community can mitigate or even reverse this trend. The opposite of gentrification-fueled displacement is “prospering in place” – where low-income people and families can afford to stay where they are, access the region’s economic opportunities and deepen cultural roots in their existing communities. Low-income communities and communities of color in Seattle have known this far too long and all too well. This past fall, approximately fifty people participated in a convening and survey through the city-sponsored, community-led equitable-development-focused Community Cornerstones program. Six multi-cultural coalitions, two foundations, four business associations and eight city staff from five departments were convened to share equitable development plans and accomplishments, deepen collaborative relationships and explore opportunities to coordinate ongoing efforts. Through synthesis of the surveys and convening notes from community coalition participants, several overarching themes emerged that Sage was able to connect to project and policy next steps, in a report informed by community. Growth must be place-based and culturally relevant. Cultural anchors and community-supported economic development must be prioritized. Government entities need to understand community vision in order to facilitate positive growth and increase capacity to align programs and funding that make those visions happen. Community leaders need to be part of decision-making processes. Multi-racial, multi-cultural equitable development coalitions have emerged and are currently working directly with the city as a resource. These community organizations must be adequately resourced to take ownership of their vision and actively participate in shaping development. Community organizations expressed a desire for regional cohesion, and that organizations be adequately networked, working across cultures and sectors to become more effective, powerful and farsighted. Only then will meaningful change stem displacement and grow significant economic opportunity in the Rainier Valley. Click here for the full report. For more information, to get engaged in the community-led equitable development movement as a community leader, or are a foundation looking to resource communities already doing equitable development work, contact the authors of the report, Ubax Gardheere and Lauren Craig . Categories: Affordable Housing, Community Benefits and Development, education, Environmental Justice, Equitable Transit Oriented Development, Land Use Policy, Living Wage Jobs, Public Health, Racial Justice, Sustainable Communities, Transit Access, Uncategorized | Permalink. There is no question that the success of SeaTac’s Prop. 1 is a win for workers. But it is also a win for Transit Oriented Development (TOD) and our region’s environmental goals. Here is why: the $15 Airport Living Wage means more families will be able to live in their communities of choice. Recently, the Puget Sound Equity Summit brought together communities across the region to explore strategies that ensure TOD will benefit low-income communities and communities of color. Yet, when it comes to ensuring TOD is equitable the public discussion of policy solutions rarely goes beyond affordable housing. Housing is only one side of the equation. Living wage jobs are the other side. 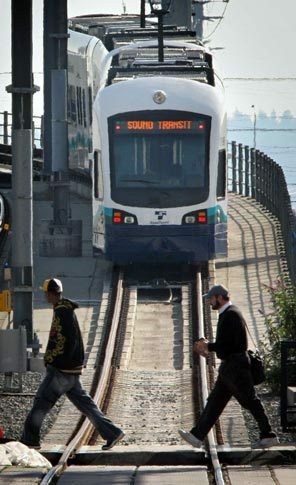 Sound Transit light rail should be a regional connector to opportunity. With soon-to-be three stations in SeaTac, the new living wage law is a big move in that direction. Low-income communities all along the light rail corridor currently face gentrification and other factors that economically destabilize communities (see our report, TOD that’s Healthy, Green and Just). A $15 an hour living wage at the end of the light rail will allow low-wage workers to prosper in in place. How? Let’s use Rainier Valley as an example. An estimated 650 people who live in Seattle’s Rainier Valley work in the city of SeaTac. With airport, hotel and ground transportation jobs making up the vast majority of employment in this small city, hundreds of Valley residents will likely benefit from Prop. 1 (see who is covered, here). Previous to Prop. 1, many of these residents not only made near-poverty wages, few had seen their wage increase over the last five years. At the same time their wages remained low, the cost of living rose in their neighborhoods, which threatened low-wage airport workers with displacement. The economic pressure between higher costs and stagnant income causes many families to relocate further outside of the city where the cost of living is cheaper, and where they are also more likely to need a car to drive to work. A $15 living wage dramatically changes their odds of being able to stay in their neighborhood of choice. More money in the pockets of these Rainier Valley families will mean their family earnings will grow with the neighborhood. Instead of new community investments resulting in insurmountable rent increases, workers making a living wage will be more able to take cost of living increases in stride and benefit from the new infrastructure in their neighborhood. Earning wages that families can actually live on, more people will be able to live in their communities of choice, close to transit and opportunity. It also means fewer car trips for these residents, better environmental outcomes and a big overall win TOD near light rail. U.S. Census Bureau, OnTheMap Application and LEHD Origin-Destination Employment Statistics (Beginning of Quarter Employment, 2nd Quarter 2002-2011). Categories: Community Benefits and Development, Equitable Transit Oriented Development, Living Wage Jobs, SeaTac Proposition 1 | Permalink. Last week a proposal to up-zone building heights near Mt. Baker Station ignited controversy when it made a last minute appearance on the agenda for the council’s Planning, Land Use and Sustainability Committee just before the holiday. Opponents accused the city of attempting to suddenly ram the proposal through without due community process, and claimed the up-zone would increase crime in North Rainier. However, Community representatives are not uniformly against the proposal. Puget Sound Sage is a founding partner of Seattle’s South Communities Organizing for Racial/Regional Equity (CORE) which submitted comments to DPD over the summer supporting the proposed up-zone, and advocating for increased investment beyond zoning to street and safety improvements. South CORE’s efforts resulted in more funding for transportation investments and allowed communities more time to weigh-in on the North Rainier rezone process. The South CORE alliance represents multiracial and ethnic communities rooted in South Seattle and South King County who believe that in order for transit oriented development to result in racial justice, social equity must be at the center of all planning decisions. While the delayed timeline was not South CORE’s aim, they will use the time to encourage City Council to improve transit service, accessibility and safety and access to good jobs around the station area. “Overall, we believe the proposed zoning changes fit with the long-term vision for the North Rainier/Mt. Baker area. We are encouraged by the City’s decision to use the Seattle mixed zone to retain light industrial businesses in Southeast Seattle, such as the Pepsi-Cola Bottling Company. Maintaining and growing living wage jobs close to transit and urban areas is critical to ensuring communities of color and working families can afford to live in transit rich neighborhoods and benefit from new investment. Categories: Community Benefits and Development, Equitable Transit Oriented Development, Sustainable Communities, Transit Access, Uncategorized | Permalink. Washington State Senators will be holding a work session today on their latest transportation proposal. The legislature was called back into a special legislative session by Governor Jay Inslee . The proposal, from the GOP-led majority coalition, could be voted on by the legislature by the end of the week. The Senate package will disproportionately impact people with lower incomes, immigrants, refugees and people of color. It would do this in two ways: 1. It will result in cuts to transit services that people with lower incomes rely on, and 2. It will take funds away from toxic clean-up projects that affect the public health. Despite raising revenue for transportation, the package would still lead to cuts to King County Metro that threaten transit access for low income communities. Service cuts are detrimental to those for whom public transit is their primary source of transportation to get to jobs, schools, day cares, and grocery stores. These residents are most likely to be people of color and low wage workers. The proposal will also weaken environmental laws necessary to address public health concerns in communities near toxic waste sites. The Senate proposal diverts $280 million away from a toxic waste clean-up fund to the direct benefit of oil and gas corporations. 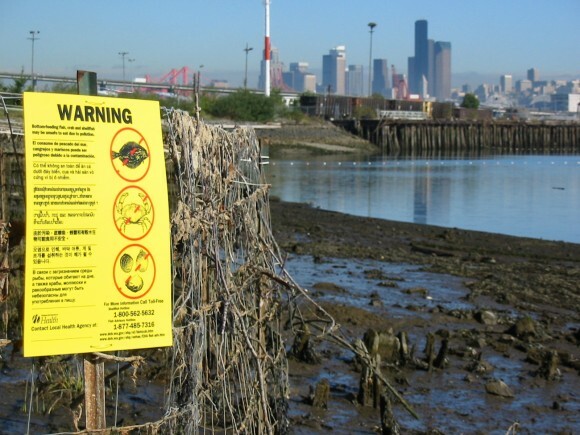 The diversion of funds comes at the direct expense of waterways like the Duwamish River. Residents of the Duwamish Valley are predominately low wage workers and people of color. A recent study has already demonstrated that Duwamish Valley residents face disproportionate diesel exhaust pollution. Failing to clean up toxic sites will compound and prolong the environmental hazards which place the health of lower income households at risk. The package is essentially a doubling down on a failed transportation system that doesn’t adequately provide for transportation alternatives. The $12 billion package will spend less than 2% on alternatives to cars. For more information about their proposal view the proposal’s bills and balance sheet. The Senate work session will take place on Thursday at 1:30pm in Olympia, Senate Hearing Rm 4 in the J.A. Cherberg Building; Olympia, WA. They will be taking public comments between 1:30-5:30pm. Categories: Community Benefits and Development, Environmental Justice, Equitable Transit Oriented Development, Public Health, Racial Justice, Sustainable Communities, Transit Access | Permalink. The mayor’s race has ended and Mayor-Elect Murray is planning his transition to move into Hizzoner’s chair. What will a Murray administration mean for issues like equitable development, access to affordable housing, quality jobs for Seattle’s service sector workers, and dependable access to transit? Although the Murray and McGinn campaigns focused on different areas, progressives in Seattle will have plentiful opportunities to work with the new Mayor’s office. During his four years in office, Mayor Mike McGinn provided leadership on developing good jobs in the green economy for young workers, promoted a city-wide local hiring policy to help neighborhoods with high unemployment, supported living wages, and opposed selling city property (the legal term is a ‘street vacation’) to developers for use by retailers like Whole Foods that don’t provide living wages and good benefits. How will Ed Murray be different? Not much, but a few distinctions remain. Overall, Murray says he’s committed to “strengthening and protecting the working and middle class,” and “ensuring that Seattle does not become a city where only the very wealthy and the very poor live.” Murray has pledged support for $15 minimum wage for Seattle, phased in first for city employees, fast food and retail workers, and then for most workers “by the end of his first term.” Murray, like McGinn, is also committed to enforcing Seattle’s wage theft and paid sick leave laws. When it comes to ensuring that communities receive real benefits from development projects, a Murray administration will likely be hesitant to employ some policy tools community groups deem important. In statements this summer, Murray opposed McGinn’s decision to deny a request from Whole Foods for a street vacation for their proposed West Seattle store. Sage, along with many community groups and unions, has found street vacation permits a useful way to get developers to agree to better environmental and labor policies. Under McGinn, the City embraced policies to prevent displacement of immigrant and communities of color from southeast Seattle near light rail development. The City’s Community Cornerstones Project is focusing on supporting immigrant businesses and cultural institutions, along with affordable housing near light rail. Murray proposes “building a small-business incubator service for assisting new immigrant-led small businesses,” and more affordable housing in general. All of this means progressives can continue look forward to opportunities to work with the new Mayor’s office on policies that build thriving communities for the next four years. Categories: Affordable Housing, Community Benefits and Development, Environmental Justice, Equitable Transit Oriented Development, Living Wage Jobs, Racial Justice, Sustainable Communities | Permalink. Ed Murray appears poised for victory in Seattle’s mayoral election. As KPLU reporter Ashley Gross asserted in a recent story, Seattle’s new mayor will be challenged to address an affordable housing crisis in the city. The challenge is a big one: Seattle is one of the top ten metro areas in the nation with the most dramatic increases in rental costs in 2012, and homelessness in the city is also on the rise. At the same time Seattle is a city segregated by both race and income. In order to effectively address the segregation of opportunity that lies within Seattle’s housing crisis, inclusionary zoning is an important tool that must be on the table. Inclusionary zoning arose out of the civil rights movement. Civil rights leaders advocated for inclusionary zoning as a housing policy to fight racial segregation and the economic attack on communities of color in the United States. But they weren’t just concerned about housing. They sought to ensure that people of color had the opportunity to share in the benefits of living in high opportunity neighborhoods, like strong schools, access to good jobs and safe streets and sidewalks. Communities fought a long and uphill battle to win inclusionary zoning. One suburb Mt. Laurel in New Jersey fought particularly long and in the face of racism and marginalization by local government. But today, the fruits of their organizing have resulted in measurable outcomes for the families that eventually were able to live in this high opportunity suburb. A recent NY Times article profiled their experience and the work of Princeton sociologist Douglas S. Massey to compare the outcomes of families that were able to live in Mt. Laurel versus families that were constricted to low-income redlined neighborhoods. It is time for Seattle to address the segregation of opportunity in our city and our elected leaders will need this valuable policy tool. Categories: Affordable Housing, Community Benefits and Development, Equitable Transit Oriented Development, Racial Justice | Permalink.